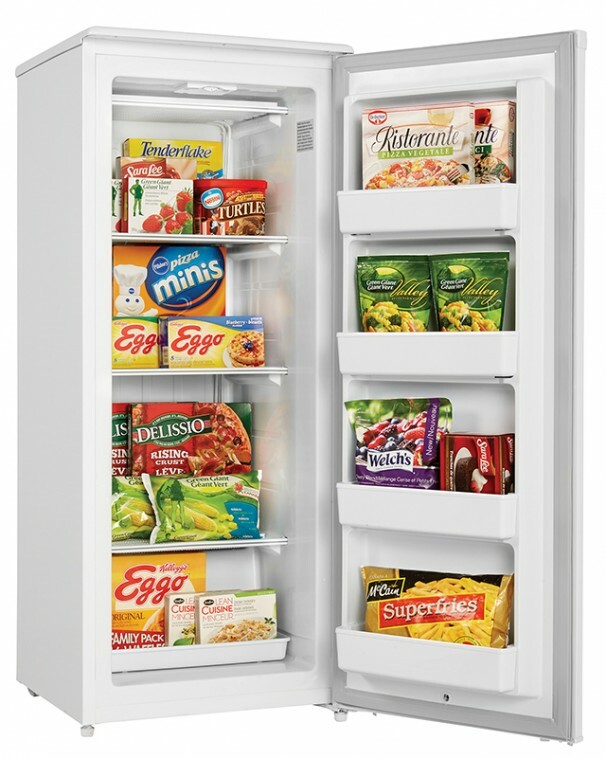 When it comes to storage space for your family’s favorite frozen food items, size really can matter. 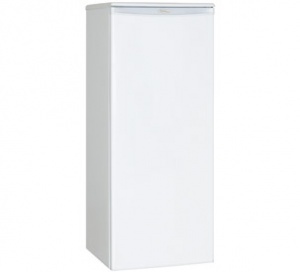 This is why the DUFM101A1WDD1 upright freezer by Danby is ideal for those households with plenty of mouths to feed. This full-sized model is quite spacious as it provides 10.1 cubic feet (287 liters) of interior cooling area and offers a convenient and easy-to-maintain manual defrost system. 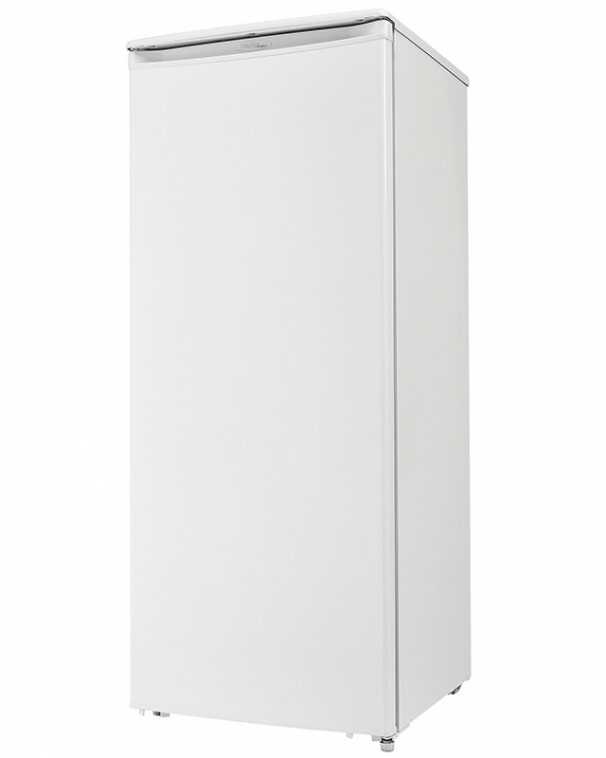 The Energy Star rated appliance is designed to reduce your power bills by cutting back on the amount of electricity used. 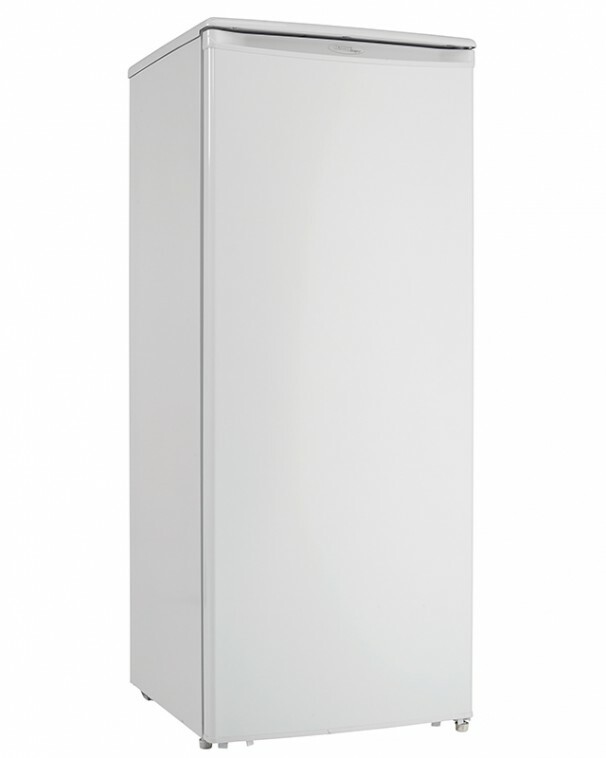 This chic unit is operated by a state-of-the-art mechanical thermostat and comes with three strong and evaporative fixed shelves as well as four roomy door shelves. 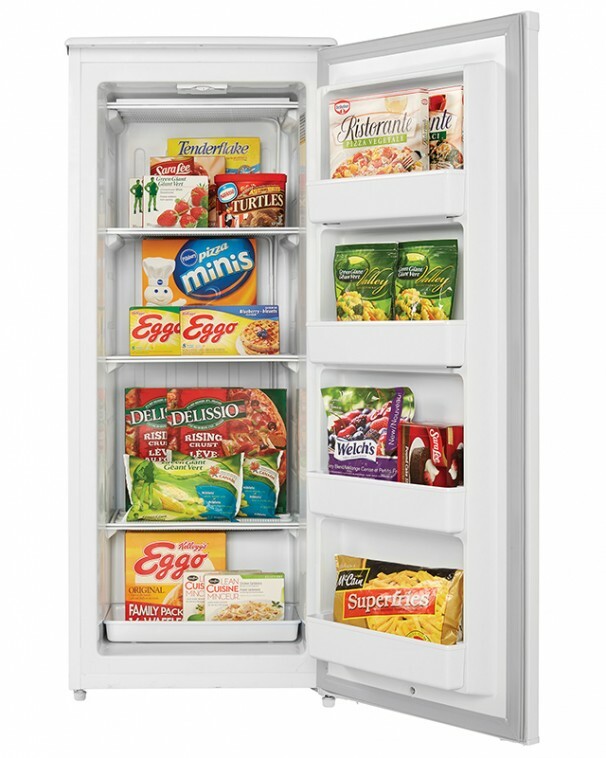 The clever reversible door hinge means you can adjust the freezer for either left or right-handed opening. This attractive and dependable model also comes with a friendly 18-month warranty on parts and labor with convenient in-home service.